After my absolutely brilliant month of reading in January, i was really hopeful for how well February was going to go. I planned great things, loads of books and time to read them. If you want an idea of how well my January went, take a look at my JANUARY WRAP-UP. However, February didn’t work out so well. With a mix of my birthday, being generally busy, job stuff, life stuff and all other kinds of stuff, i can safely say that i had an absolutely shocking reading month and it has severely put me behind on my reading goals for 2017. So here we go, here’s my shocking wrap-up for February 2017. This was probably my most anticipated book of 2017, which means as soon as it came out at the end of January, i sat down to start reading. I absolutely loved it. I have a full review up HERE if you want to take a look. 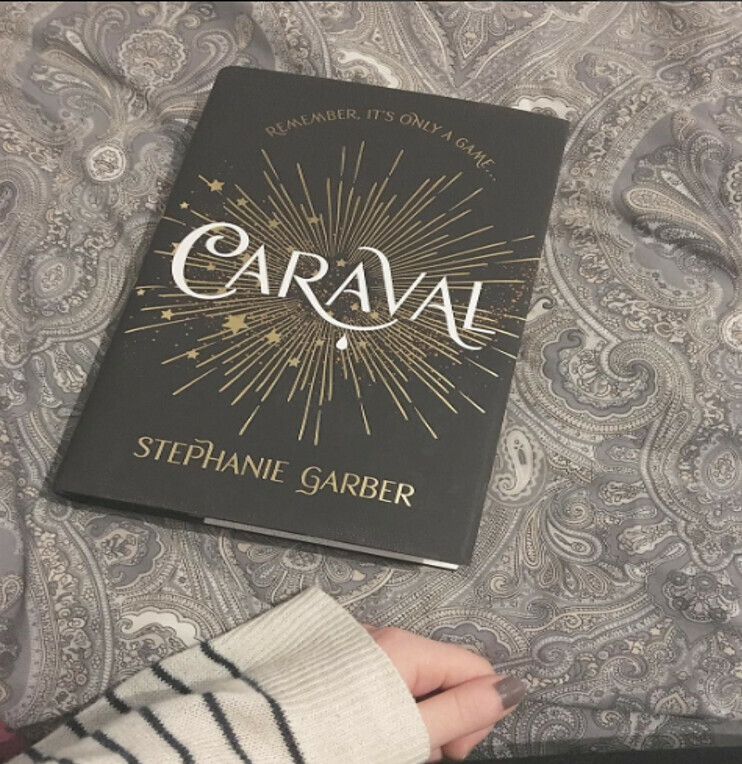 If you’re unaware of what Caraval is about, it’s a story based around two girls who want nothing more than to take part in this years game of ‘Caraval’. A game in which you cannot tell what is real and what is fake, in which you life can often depend on finding out the difference. We follow these sisters as they take part in the game and try to change their lives in the process. I went in to this story blind near enough, and cannot be more grateful i did. I enjoyed the twists and turns and surprises that this story gave me. I have completely fallen in love with Garber’s writing and i cannot wait for her second novel next year! This month i have also started reading The Drowning of Arthur Braxton by Caroline Smailes, which i am enjoying, however finding it quite a heavy read in some places. I think this is down to me not having the time to sit and focus on it properly. Hopefully that will be finished in March and will be a part of next months wrap-up! I really needed a ‘pick me up book’ towards the end of the month, so picked up A Quiet Kind Of Thunder by Sara Bernard. This is a relatively new release and her second YA contemporary novel. So far i absolutely adore it and will definitely get this finished at the beginning of March. So there’s my ridiculously short and shocking wrap-up for this month. Lets hope i get a little bit more read in March. This month has been such a bad reading month for me too. I just lost all of my motivation! I’m trying to make myself get back into it now though!